Anyone heard any rumours of when the BA sale is likely to start? I’m hoping it will be this week. Also, is there a way to view an available seat map for a BA flight before making a booking? Just looking at flights for next month last week and decided on going via DUB to LAS and flights in business was around £1700. Went to look just now to a view to booking and all over £3k now 🙁 Tried different devices and browsers. Any other tricks to see if I can get similar prices? Will try a VPN next. Some fares have a 28 day advance booking requirement. Perhaps that? Strange. Have just looked and dates next month from 16 July (ie 28d+ in advance) for DUB/LAS/DUB are shown from around €1800 ( £1,575) in business. As mentioned above, you’ve missed the 28 day advance purchase requirement for most cheap Business class fares. If you were looking before Thursday last week then these would have been available. Unfortunately it’s a painful lesson to learn but airlines work differently to hotels and you won’t find a last minute bargain so take whatever you can find now as prices will increase again at t-21 & t-14 days. Rarely pays to book more than 6 months out but almost always significantly more expensive within 4 weeks as this is when a lot of business travel is booked (exceptions include the more tourist heavy airlines like Qatar who often have no or minimal advance purchase requirements in their sales). Looks like I have a mortgage with Virgin Money, give us some points then. Yorkshire & Clydesdale names to disappear. It’s certainly causing some confusion. There are newspapers who are using images of Yorkshire Building Society instead of Yorkshire Bank in their reports. Richard does have the kind of whispy hair and beard that bank note designers love to use on a bank note though! Perhaps it’s time to say goodbye to Alexander Fleming (£5), Robert Burns (£10), Robert the Bruce (£20), Elsie Inglis (£50) and Charles Rennie Mackintosh (£100) and a big hello to a licensed image of Richard Branson. I’ve got a “B” current account, only opened to get the £250 switching bonus. For an app driven account, the app is terrible, I wonder if it will improve of it turns into a virgin money account? I also have a B account, and also agree the app is terrible! It’s supposed to be targeted at people who want more data on their financial transactions (and also offers a FX free credit card for HfP readers…) But then, the app is slow and often requires several passwords if you are transferring over a set (but small) threshold. Will stick with Barclays (much much better app). My account is used as the bills account for the flat I live in and the housemates pay their rent and their share of the bills into it. For “security” you can’t do more than £500 as a transfer without putting in the password, which I couldn’t work out what I used as I can log in with my fingerprint on the app. Solved the problem by doing multiple £499 transfers to my main account. I need to check that they won’t try and get back the £250 switch bonus and find a new switching bonus. Lumma, I’m in the same position. I’ve just applied to switch my B to M&S for £220 in vouchers over a year. Don’t normally shop at M&S but am sure I can make it work for a while since it’s essentially ‘free’. No doubt will switch again this time next year! Were I running it it would be the Virgin name that went. Or has Branson got enough shareholder clout to force this on a couple of respected names? AFAIR Clydesdale + Yorkshire both avoided the worst exceeses of 2008-2010, while Virgin is just a rehashed Northern Rock, which was the first to collapse. Why is it that marketing geeks so love the word “Virgin”? I could come up with all sorts of unprintable Freudian explanations! More importantly – to “use” the virgin brand only costs them £15m a year… Absolute bargain. OT Hmmm, seeing the news this morning, hoping that the CYBG takeover of Virgin Money will help and not hamper the new Virgin Atlantic credit cards… ???????? OT: Wondering if anyone has seen the promised refund of the ‘cash’ fees from using a Tesco CC via Curve? I have not. No refund here yet. I’ve removed my Tesco card from Curve and I’ll be paying off / closing my account in due course. Terrible way to treat customers. Do any other CC companies charge the fee? No – not yet as far as the collective wisdom here has spotted. No refund yet and interest charged on cash transaction – all detailed out in monthly statement. Hi, Qatar related, next month have a350-1000 on leg 1, 787-8, a350-900, a350-100 – I take it the only iffy one is a350? I’m no expert on QR, but I thought all the new A351’s (A350, 1000) are being delivered with the new q suites, which are delightful. The 788 and 359 will have the reverse herringbone and are very nice seats. The only old angle flat seats are the a320’s. This is assuming you are in business. I don’t like ice cream. I’ve also never flown QR… now wondering if I should avoid it! Applied for a platinum card upgrade from Gold charge card more than 5bd ago, nothing back yet. Anyone know how long it takes from experience? I know it says 10 days from after you apply. My BA Premium Amex was just renewed and I was charged the £195. I would like to cancel asap, primarily to be able to get the 25k avios in 6 months time. I do have 2 companion vouchers in my BA account. I will continue to hold my Plat card. 1) are my vouchers at risk? What if a book using the voucher, and then want to cancel and rebook at a later date? 2) any instances of Amex “offering” me something to keep the card? Waived fee or increased avios? 3) Anything else I should be aware of? 1) Although AMEX will tell you that you will lose the vouchers (provided they are showing at BA) i don’t think anyone has actually lost them. 2) Yes retention offers can be very good, but depend on your spend history. I like the extra “point” for every £1 which is for 3 months as i can put some serious spend through the card at various points of the year. Typically your reason for leaving needs to fixed by the retention offer… you have to play the game a little. 1) If you ask Amex they will tell you that the voucher becomes void if you cancel the card. However, experience here and on FT is that the vouchers is not voided once issued, and people report even cancelling a booking and the voucher returns to the BAEC account. However, you would of course have no grounds to complain if somehow the rule was enforced. OT. 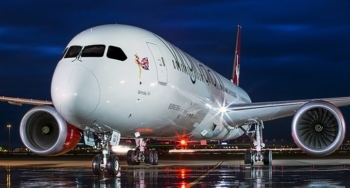 Does anybody know if there will be a fee to use new Virgin Atlantic CC to fund Revolute? Once you’ve spent £10k in the new card year, I imagine. This may have come up or been explained previously and if so apologies for missing this. Since the closure of the UK Avios program I am no longer able to log into avios.com. This means I am unable to see the points my Lloyds Avios card would be generating. My understanding was that these points should now automatically drop into my BAEC account instead. The points posted immediately on statement date before the closure of Avios, it has been 18 days since my statement and no sign of them appearing in my BAEC account. Have I got this wrong, is there somewhere else I should be checking or is this a problem? Has anyone else experienced this? I just logged into my Avios.com account with no problem. but could not with a different account. Yes, they should automatically be going across. I would ring Avios and check they are linking to the correct BA account. Thanks for your comments guys. I spoke to Avios using online chat, apparently my account had been blocked. I can get in now and see my Avios. For reference in case anyone else get’s this, the non-descript error I was getting was “A Key system is unavailable” when trying to login. There was an interesting article in yesterday’s Observer Financial section about the impact of the interchange fee cap. The basic thrust was that by and large fees charged to retailers have **increased** since the imposition of the cap, because Visa and MasterCard have increased their “scheme fees” by around 100%. Shop prices have increased to cover these increases and further increases are expected, unless the regulator can be persuaded to insitute a proper review of card fees as a whole. I saw this too – looked very interesting and perhaps challenges the idea that meaningful reward cards can’t exist in a 0.3% world, if Visa/MC/Amex can earn the same amount by bumping up other fees. Is it not the card issuer that issues the rewards, though?? If Visa and MasterCard keep increasing their take, that puts pressure on the card issuer to **reduce** their ma\rgin, leaving less for us. But, as a vertically integrated operation, Amex surely should be clever enough to find ways around the problem, as however it is split up, it all goes to Amex in the end anyway! Yep, that’s definitely been the case at the (large) company I work for! We’ve gone to I++ and despite the breakdown we pay more overall. Visa and MC don’t tell you what they’re going to charge (or give you an itemised bill afterwards), they just hand you an invoice and demand their money. They are the real ‘demons’ now, and I would love for the next EU ‘investigation’ to focus on their duopoly. They’ll never issue cards themselves, it’s too risky and they make too much from the current structure to change that (unless forced). Has anyone managed to connect a new Virgin Money card to Curve lease?